Last week Microsoft announced that its eBook platform would soon close down. This news didn’t really come as a shock to many in the business world since the company struggled from the start to attract a dedicated audience of readers. First of all, Microsoft tied the platform exclusively to its Edge web browser, which accounts for only 4.4 percent of the total browser market. 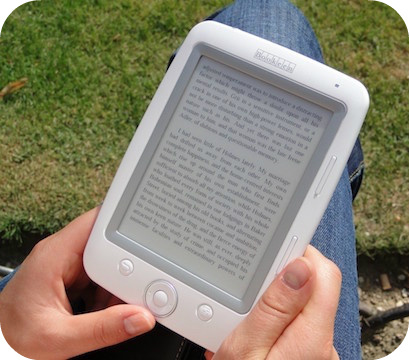 The company’s e-reader app also launched without key features such as highlighting, sticky notes, and titled bookmarks. Microsoft eventually added these features, but the company couldn’t compete in the long run with rivals like Amazon’s Kindle and Apple Books. So while the closing of Microsoft’s eBook division isn’t very surprising, there is one detail that has drawn a lot of attention: any books bought through the service will no longer be accessible once it shuts down. Although customers will receive full refunds, that’s likely to be little comfort to someone who thought they purchased a book only to have it taken away later. For comparison, imagine if a bookstore closed in your neighborhood and they sent someone to your home to remove any titles you bought from there. Then again, buying a book in a bookstore is not the same as purchasing a digital copy. When a consumer buys an eBook, they don’t receive the title itself like in a shop. Instead, what they’re purchasing is a restricted license to access the book. Not only does this prevent them from lending the book to a friend, it also means the company can revoke the license at any time. Publishers say that such licenses are necessary in order to prevent piracy. What’s more, it’s unlikely that Amazon will ditch its successful Kindle division anytime soon like Microsoft did. At the same time, the situation surrounding Microsoft’s eBook operation should serve as a reminder about the nature of ownership in the digital age. After all, streaming platforms like Spotify and Netflix distribute music and movies in a similar way–by granting the customer access but not ownership. How is purchasing an eBook different from buying a book in a physical store? What are the advantages and disadvantages of licensing content like books and music rather than owning them? Sources: David Grossman, “Microsoft Is Closing Its Ebook Store and Taking the Books With It,” Popular Mechanics, April 2, 2019; Dave Lee, “Microsoft’s eBook Store: When This Closes, Your Books Disappear Too,” BBC, April 4, 2019.